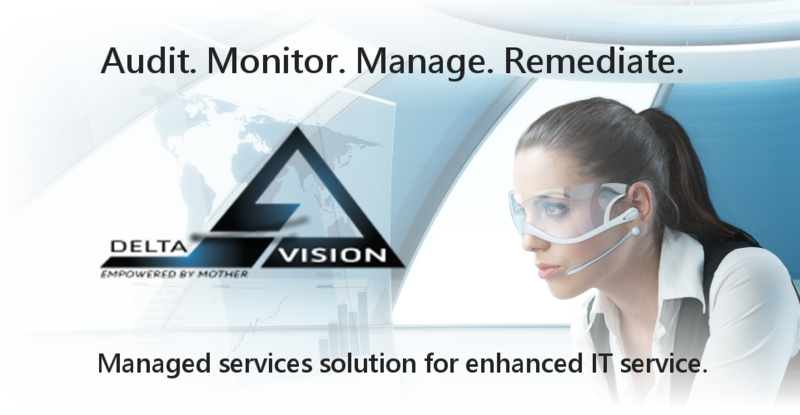 Delta Vision provides all the tools you need to support and protect your customers from a single pain of glass. Easy to use, drag and drop monitoring rules, centrally managed patch and antivirus, remote support, and auto discovery speeds up the time to fully manage your clients’ environments whilst minimising the effort required. Know what your customers have, so you know how to monitor. Constantly watch for out of band indicators to identify problems. Ensure the right people get the information to act before critical issues occur. Keep your customers safe with industry leading antivirus, web protection, patch management and advanced protection. Deliver meaningful and useful reports to your clients to demonstrate value. Use the right remote solutions to solve your customers’ problems without disruption to their business and to maximise your efficiencies.